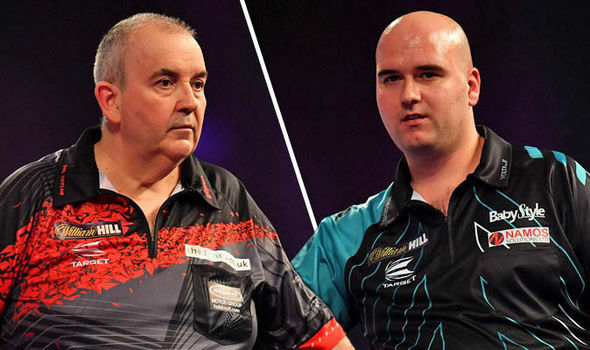 This year's PDC World Championship has without a doubt been full of surprises, but perhaps Phil Taylor making the final in his farewell year is something that shouldn't really be all that shocking to darts fans. He's won the competition a staggering 14 times from 24 appearances including 8 times in a row between 1995 and 2002. Certainly he's not always at the top of his game nowadays (hence why retirement beckons) but when he needs to he tends to put in a performance. We saw this in his game against the new kid on the block Jaime Lewis which Taylor won 6-1 by hitting what he needed to, when he needed to. It's all about the margins in darts, and keeping your cool in the handful of moments that truly define a match. His opponent in the final would certainly not have been listed as the most likely of contenders beforehand, but has had something of a meteoric rise over the last year plus. Cross has moved from darting obscurity to a major final in no time at all. This certainly makes him a formidable opponent, as we got to see when he ground out a dramatic 6-5 against tournament favourite Michael Van Gerwin the other day. The match had gone to 5-5 in sets and 5-5 in legs but Cross managed to keep his cool and bring home the win despite Van Gerwin's obvious ability. Current odds for today's final tell the tale of how hard it may be to call this one with Taylor at 4/5 and Cross 21/20 with most bookmakers. It will definitely be one to watch, and not a result I really fancy calling to be honest. If forced to though, I think by default I would tend to go with experience, and Taylor of course has that in spades. Good luck to both players!